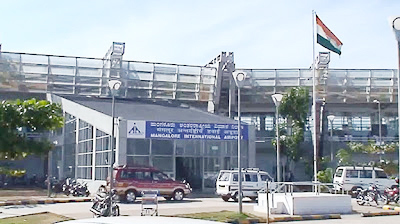 Mangaluru, June 19, 2015: J T Radhakrishna, airport director, MIA said that Mangaluru International Airport (MIA) is now ready to become the first airport among 22 domestic air cargo terminals to operate domestic air cargo terminal from June 16. Private participation domestic air cargo terminals are available presently, apart from the metro airports, in Coimbatore, Lucknow, Jaipur, and so on, and these are managed by Airports Authority of India (AAI), AAI has come with idea of running these air cargo terminals with private participation in 22 airports, including Mangaluru, Ahmedabad, Trichy, Vizag, and so on, and the tender process is on in these places. However, Mangaluru has emerged the first among these airports in finalizing the agency and obtaining security clearances from Bureau of Civil Aviation Security, New Delhi and will commence domestic air cargo functions. MIA director Radhakrishna said many valuable goods, perishables, medicines, routine software parts, essential machinery parts can be sent by way of air cargo, from one airport to another in the country. Presently, 150-200 metric tonnes/packs of mail bags per month is being sent from MIA on a regular basis from the passenger terminal building itself as there are no separate facilities for domestic air cargo terminals. This causes inconvenience to passengers and others. To avoid this and also to meet security and operational requirements, a separate common user domestic cargo terminal has been set up and domestic cargo operations will be carried out using that, he said, adding permission has been obtained from authorities to start common user domestic cargo terminal (CUDCT) at MIA. M/s Cargo Service Centre CSE, Mumbai will operate the CUDCT, he said, adding this will enhance status of DK and Udupi in trade and industry.